Talking through tough topics that concern our country’s well being is challenging. It’s encouraging that more and more South Africans are finding their voice and sharing, but when we come to the Table of Knowledge, opinions alone are not enough to help move us all forward—we also need to champion the rules and art of dialogue to avoid conversations, discussions and debates regressing to, “Well, that’s my opinion and you have yours”: a dialogical deadlock. There are currently 7.4 billion people living on Planet Earth, there are literally billions of opinions out there, and in order to avoid favouring one view over another, there must be some ‘rules’ or guidelines South Africans can keep in mind. There are known truths about many matters, and it should go without saying that not all opinions are equal on all topics. So back to this dialogue thing South Africans are trying to have. 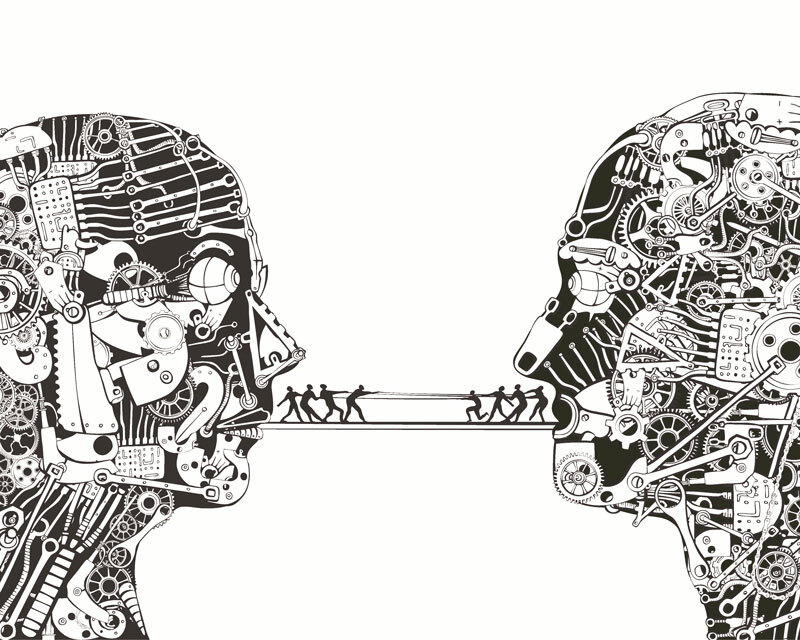 Yes, your opinions matter, but when engaging in discussions on important social issues, it’s important that in order to make progress (and so avoid where possible: “Let’s agree to disagree”) we should seriously consider the art and rules of engagement—the question then comes up about how we can engage each other in a meaningful and intellectually honest way. It’s not enough for everyone simply to assert their views, and there are some very useful tools for thinking through ideas in general that we can all benefit from, that we can try to incorporate into our interactions with others in order to work towards the best possible country possible. Humans are not particularly rational moment-to-moment, so we need to work on not letting our emotions overrun our critical thinking when it counts. One very important tool that can help our thinking is recognising what scientists and philosophers call “logical fallacies,” errors in thinking that are counterproductive in rational arguments. Many of these errors you may have heard before, but because they often seem counter intuitive and go against our impulsive reactions to how we feel about certain subjects, we need to exercise our minds and constantly remind ourselves about them and try to catch them in action—both when we want to express our own views (in order to honestly argue and persuade) and when considering the positions and opinions of others (in order not to be deceived or misled). Ad Hominem: Remember that dialogues involved two or more rational actors discussing ideas; we should try to keep our arguments directed towards the ideas themselves and not attack the person making the claim. For example, James dismisses Tandi’s argument about man-made global warming because he thinks Tandi smells funny and knows she supports a rival soccer team. He doesn’t really like Tandi, so he tries to attack her character instead of addressing her actual views. The Strawman Fallacy: This one’s a little tricky to get your head around, and it’s not always easy to detect at first. Basically, it’s when someone misrepresents the other person’s view, they exaggerate or fabricated aspects of it and construct a weaker version of a position that is easy to attack. After Chris said, for example, that we should put money into protecting animal rights in South Africa, Daniel responded by saying that he was surprised that Chris places animal rights over the rights and well-being of women and children. Clearly that is not what Chris is saying; Daniel has created a ‘strawman’ version of Chris’s statement, one that seems easier to refute or criticise. Appeal to Tradition: Is something inherently good or true because past societies and communities believed it? Of course not, humankind has changed its mind about a wide range of issues as we’ve discovered more about the world and each other. There would never have been any revolutions if everyone just said that’s just how we’ve always done it, that’s just how we’ve always thought about that issues, or it’s the law now so it should continue to be so. Clearly humans make progress in a number of ways (scientific, moral, social…), and evidently not all knowledge from the past is useful or even desirable in the present. Burden of Proof: Imagine someone says to you that aliens not only exist here on Earth, but that they’re invisible and only choose to reveal themselves when they feel like it. You hear this claim and think it’s a little dubious, and then the person says to you: “Well, can you prove that there aren’t invisible aliens living among us!” Of course you can’t, but that’s okay because your friend is forgetting that the burden of proof lies with the person making the claim: the responsibility is on them to prove that invisible aliens live among us, and not on you to ‘prove’ that they don’t. If we didn’t accept this line of reasoning, anybody could make any claim they wanted about the world and we would have no way to refute them! Those were just five fallacies to keep in mind next time you’re involved in dialogue about ideas that matter (but please don’t be one of those people who are constantly pointing them out in a conversation!) and like exercising specific muscles at the gym, these cognitive tools need to be worked on until they become second nature. By doing so you’ll be empowering yourself by sharpening your mind and helping South Africa have more constructive dialogues on ideas that matter: towards a better society, today, together! 3) You should mention anything you have learned from your target. We are all susceptible to cognitive biases, letting our emotions take over, and making mistakes in our reasoning or logic—guess what, we’re human! But if you keep these fallacies in mind and make an effort to engage in honest dialogue, we can raise the quality of our discussions and reach new heights; we can empower ourselves and give the next generation strong shoulders on which to see further—we can rise, together! But don’t take my word for it, do your own research and think for yourself! Love your post. Can’t wait for the next one!